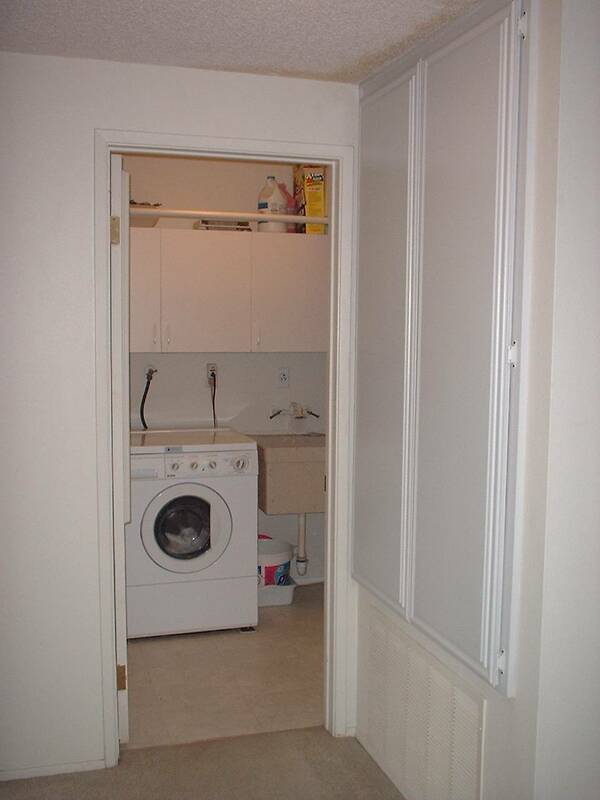 The Laundry room is conveniently located downstairs next to 3 of the 4 bedrooms. This is a much better location than in a cold, dirty garage where most laundry hook ups are located. This laundry room has been upgraded to include a wash basin, new Armstrong linoleum flooring (contemporary and easy to clean neutral marble pattern), storage cabinet, clothes bar and built in ironing board. 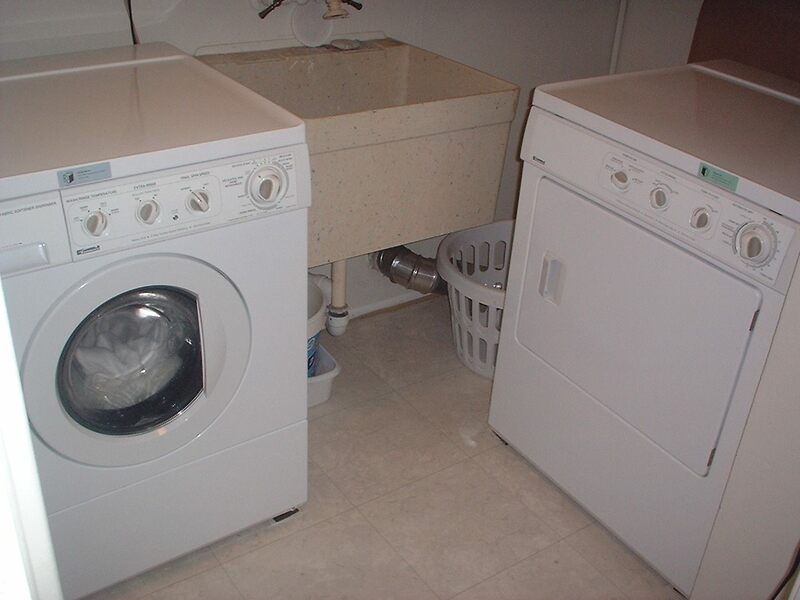 The washer and dryer shown is included*. Just outside the laundry room is a linen closet located in the hall. This can be a convenient place to store linens and towels. *These Kenmore brand appliances are energy efficient. The European style front loading clothes washer is fantastic and will wash a normal sized load using less water, less detergent and less energy while making your clothes even cleaner than a typical top loading washing machine. It's high speed spin option will almost dry your clothes so that very little time in the gas clothes dryer will be necessary (this saves even more energy). This very practical feature keeps the total wash & dry cycle very short and is therefore very beneficial when 4 or 5 people need to share the laundry room. The gas clothes dryer is more cost effective than an electric clothes dryer and has an automatic temperature sensor and exclusive stainless steel drum. Linen Closet located to outside Laundry Room. Bedrooms 2 and 3 are located just to the left of this view.